We strive to uphold the privacy and dignity of everybody who uses Hesley Group's services, including through our policy on Information Sharing and Confidentiality, and associated guidance; as well as through linked policies and guidance, including those on Communication, People’s Rights and Contact with Family and Friends, as well as the Staff Code of Practice. Personal information is treated with respect. We believe that it is important for people living in our services, their carers, families and other relevant parties, to know that the confidentiality of those we support is respected, their personal information protected and information shared only on a need-to-know basis, for example to facilitate the understanding of and/or best decision making in respect of care, treatment and support. We keep records securely. The aim for all staff, including voluntary staff and students working in Hesley Group's services, is that the right, lawful balance is struck in relation to effective information sharing, which best supports sound and effective decision making, while protecting the personal information of people who live in these services. Our position is informed by the view of the Care Quality Commission, expressed in its Essential Standards of Quality and Safety (2010), that providers should work in partnership with carers, and the position of Ofsted in the National Minimum Standards for Children’s Homes (2011), that carers have a key role in decision making about children. We also aim to work positively and in partnership with relatives and other appropriate representatives, when it comes to information sharing and confidentiality. Where a request for access to a record is made, Hesley Group staff follow legislation and guidance according to the Freedom of Information Act 2000 and the Data Protection Act 1998. 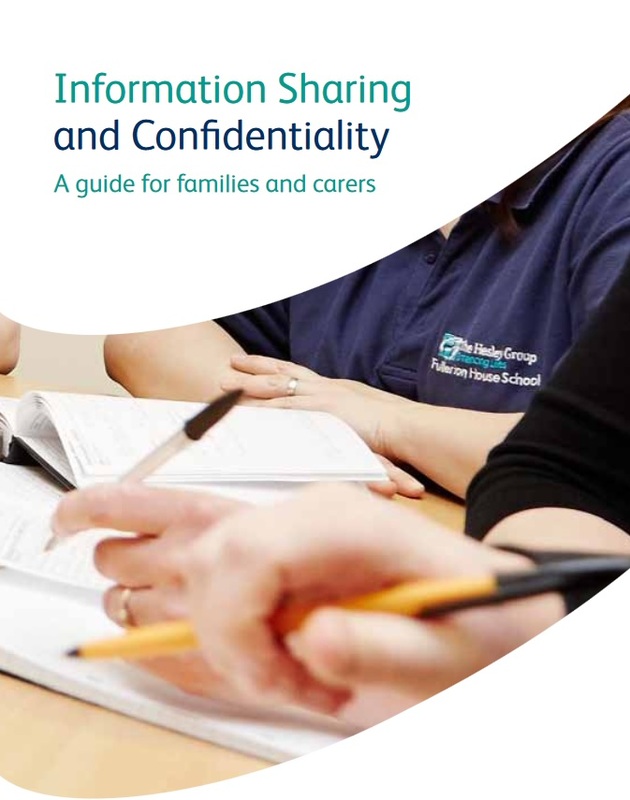 A copy of our Information Sharing and Confidentiality booklet is available to read here.